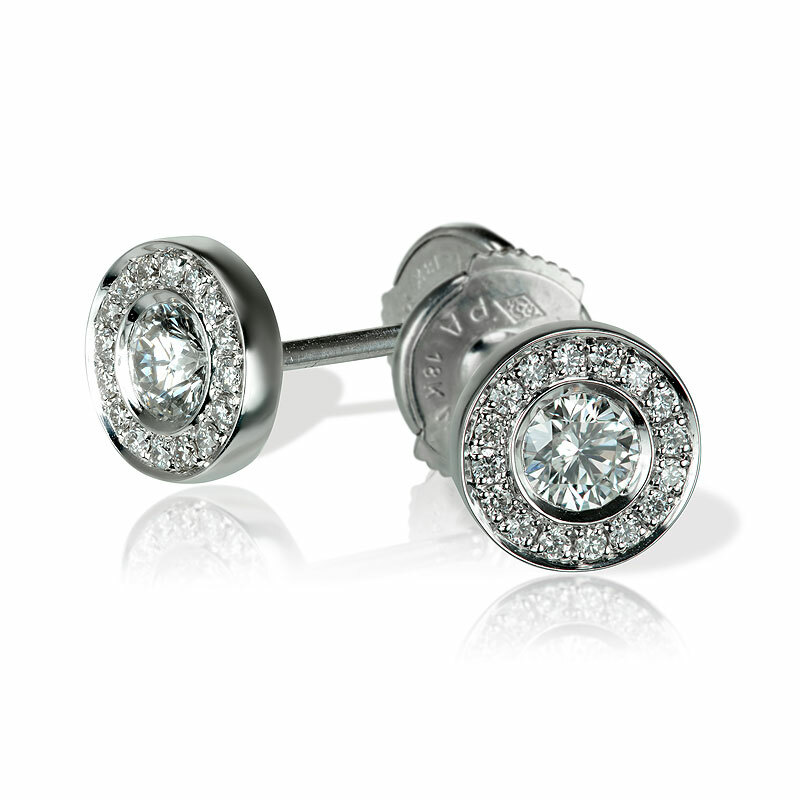 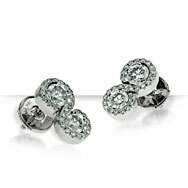 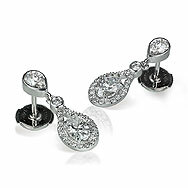 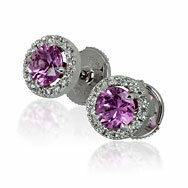 These gorgeous earrings are set with a mix of fancy shape diamonds. 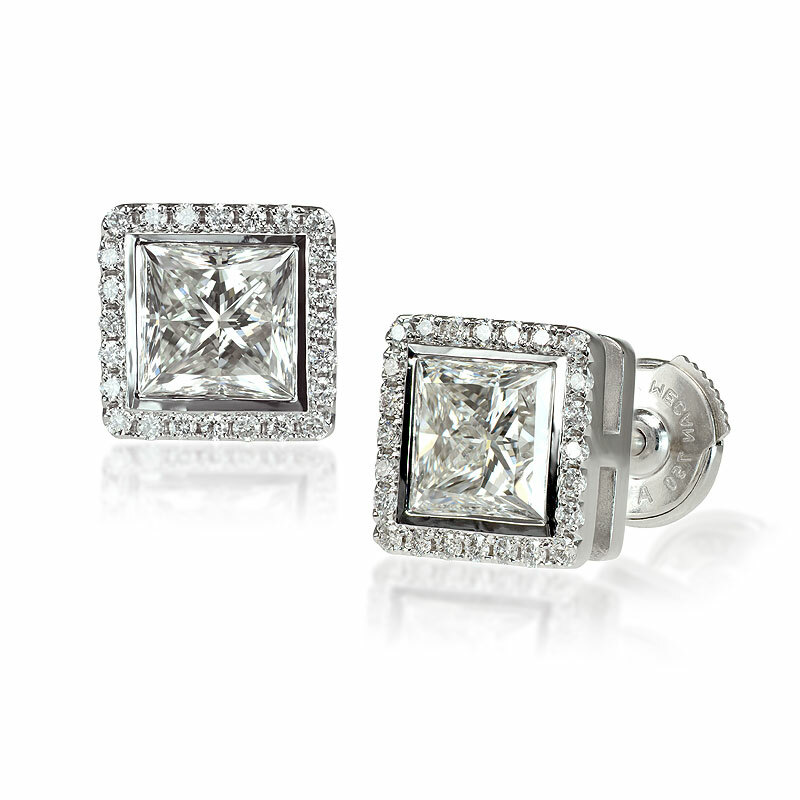 These princess cut diamonds are 1.5 ct each and set with a halo for added sparkle. Diamond earrings with a pear shape top and oval halo drops. 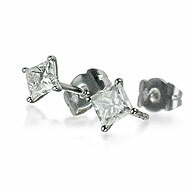 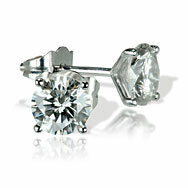 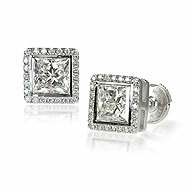 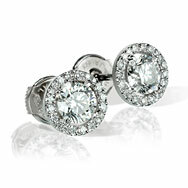 This variation on the classic stud shows off the princess cut diamonds. 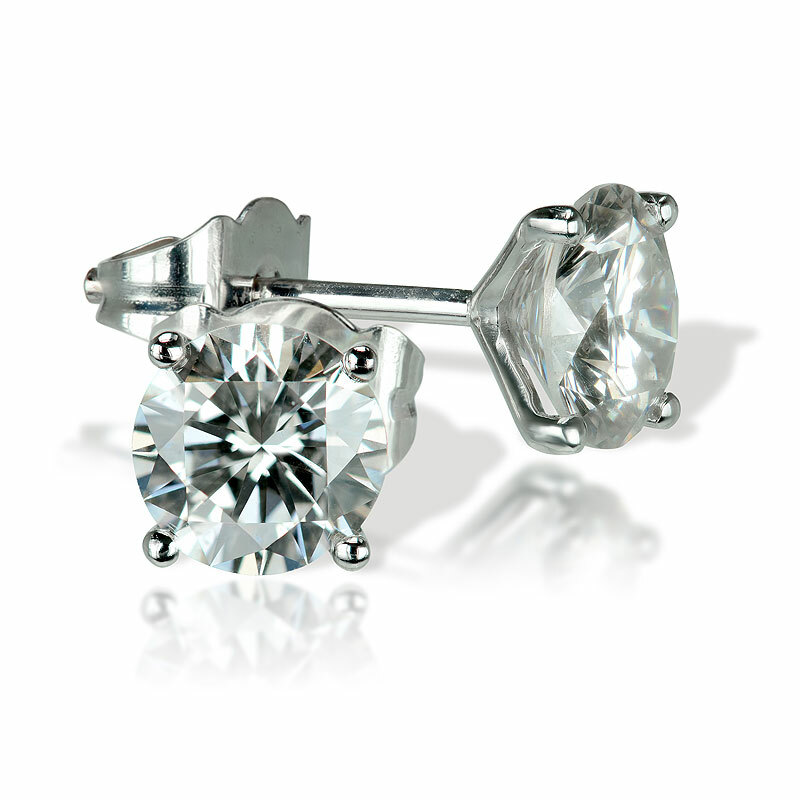 The classic diamond earring in a simple 4 claw, low and open setting. A fabulous pair of drop diamond earrings featuring a round brilliant cut diamond surrounded with a diamond set halo design hanging off a line of diamonds. 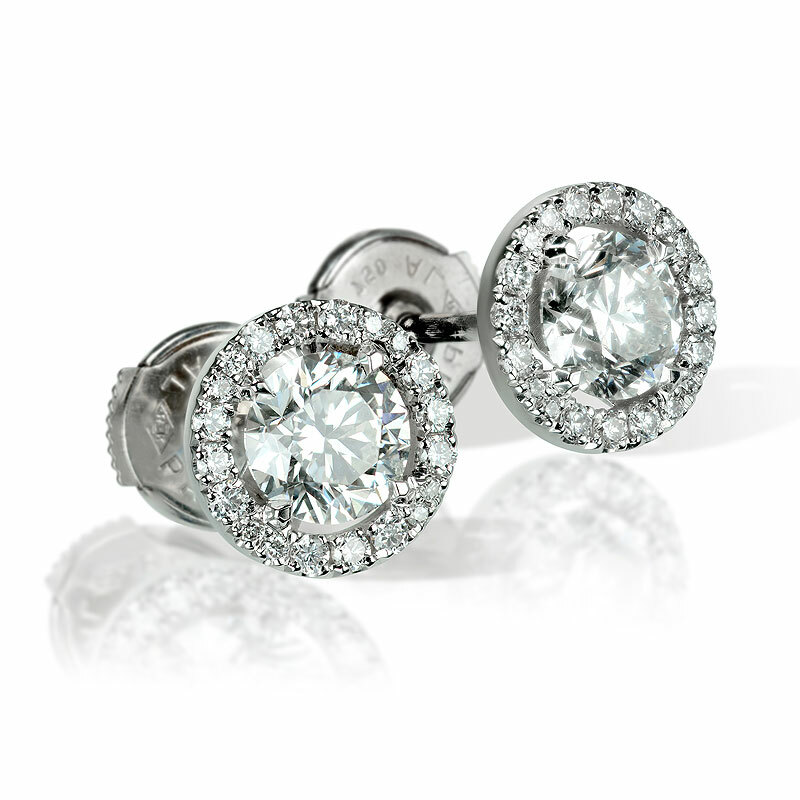 A gorgeous pair of halo earrings featuring a round diamond set in a frame surrounded by pavé set diamonds for maximum sparkle. 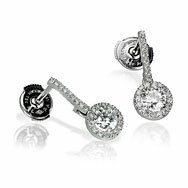 A dazzling pair of stud diamond earrings featuring a round brilliant cut diamond held in 4 claws surrounded with a diamond set halo. A sublime pair of halo earrings featuring round pink sapphires held in 4 claws surrounded with a diamond set halo. 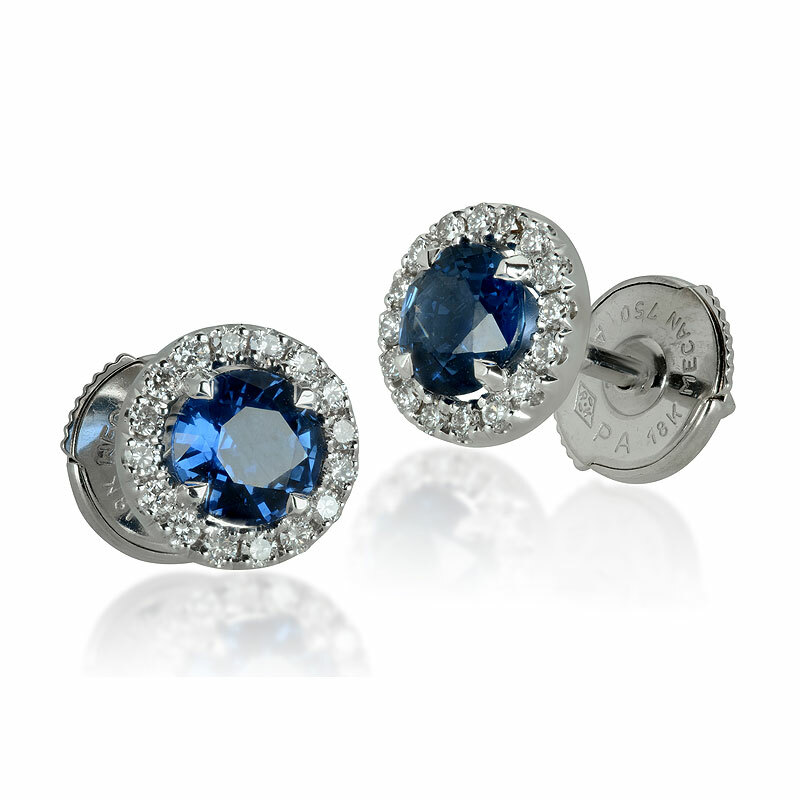 A sensational pair of halo earrings featuring round blue sapphires held in 4 claws surrounded with a diamond set halo. 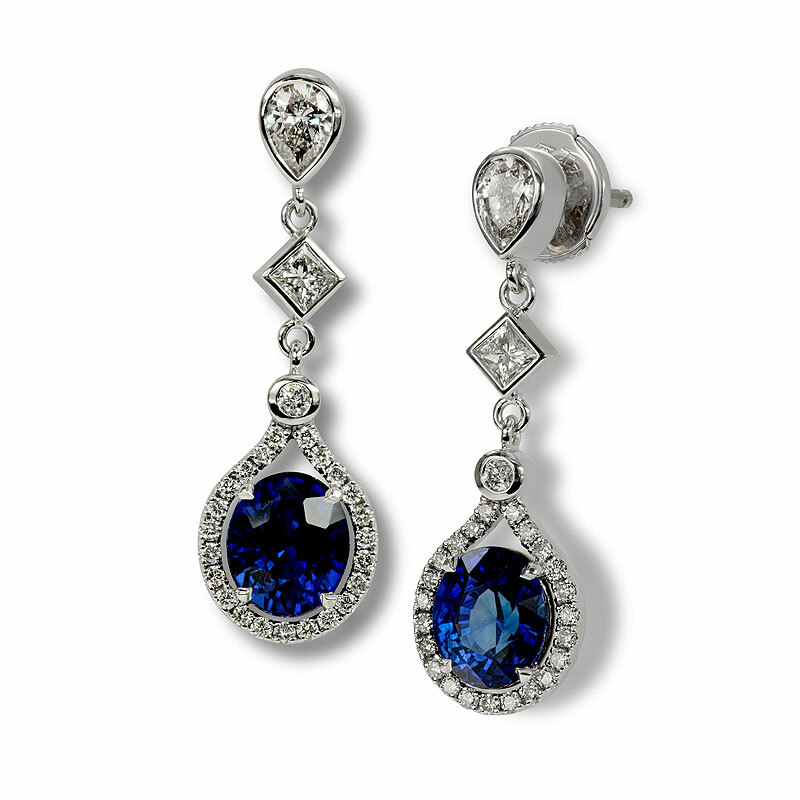 A pair of alluring sapphire & diamond drop earrings showing off pear shape, princess cut and round diamonds as well as vivid blue sapphires of 2ct each. 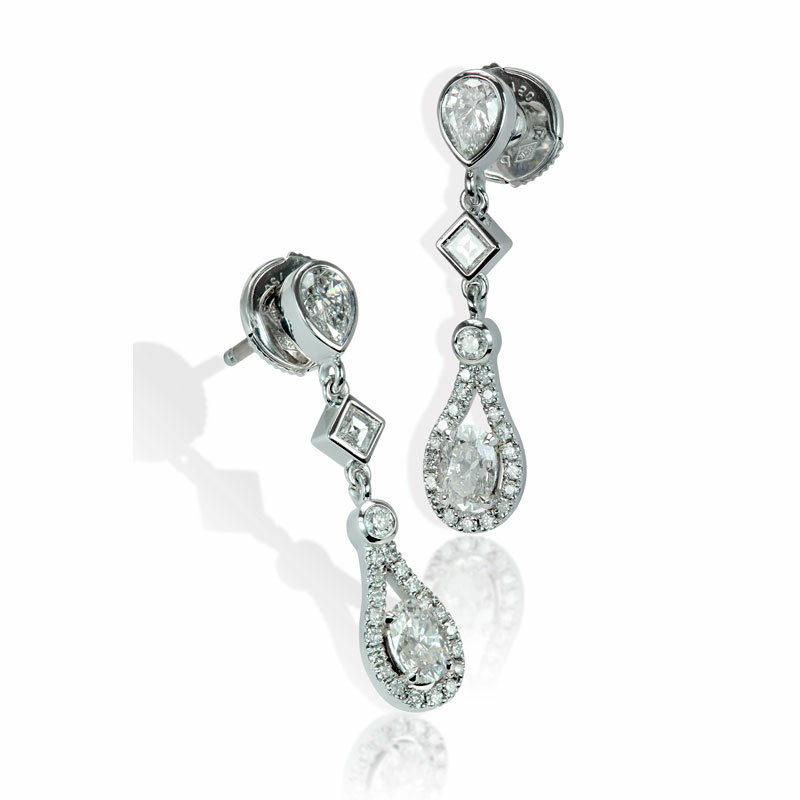 This striking pair of earrings shows off twin sets of round diamonds with a swirly finish of micro pavé diamonds.